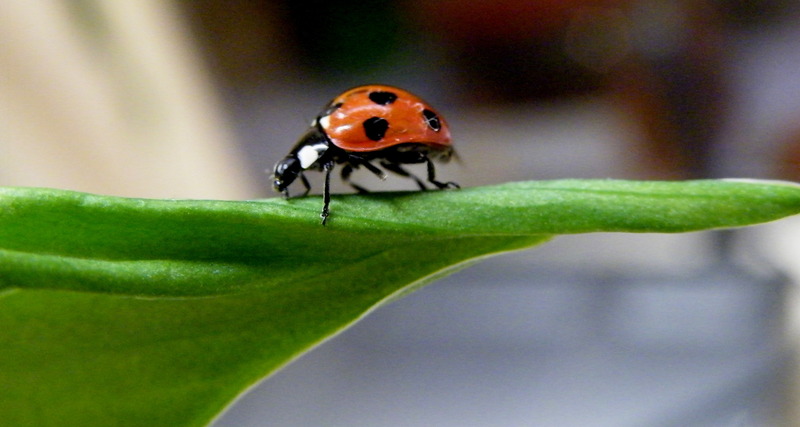 WHILE IT IS RAINING – NO, POURING, THERE ARE PLANS TO BE MADE. 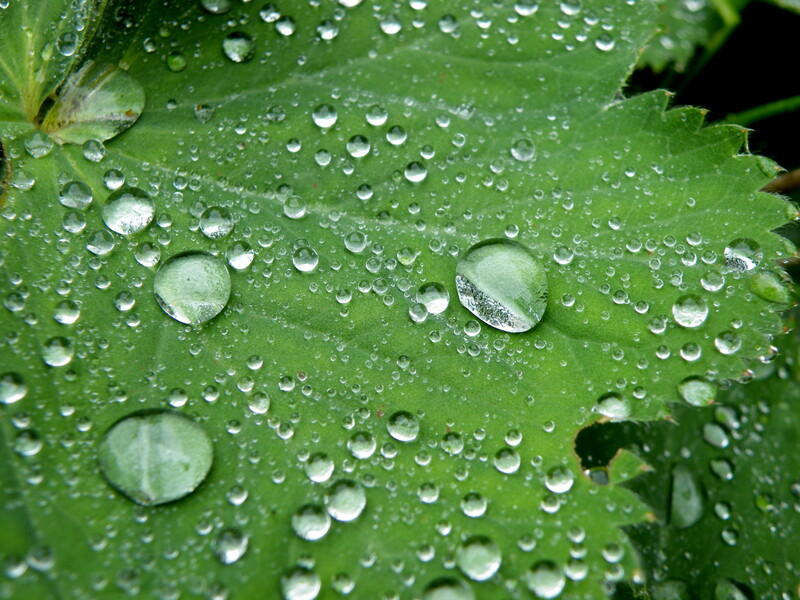 Raindrops on the leaves of the herb Ladys Mantel. 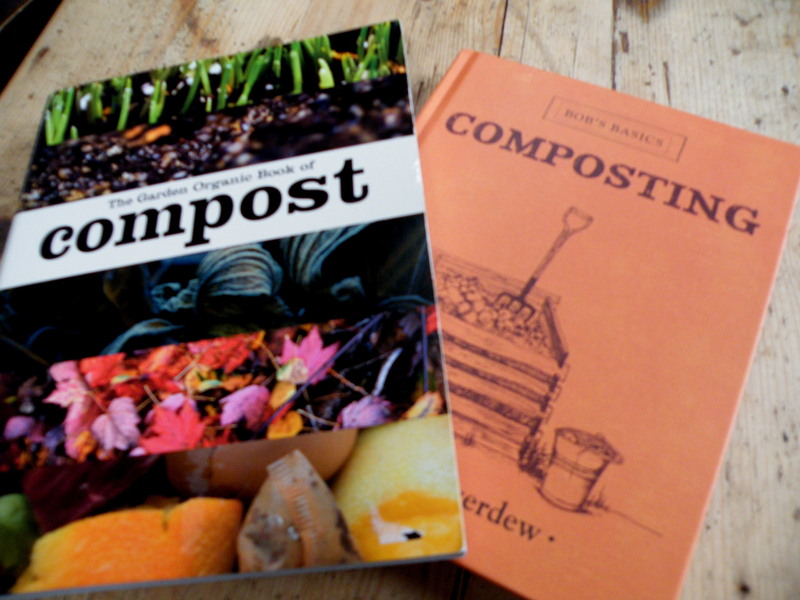 Lots of rain for the last two days, but I received two books on composting so there is a lot of reading up to do, because if there is one thing that I want to get right before next growing season, it is to really improve the soil, and composting is the way to go! 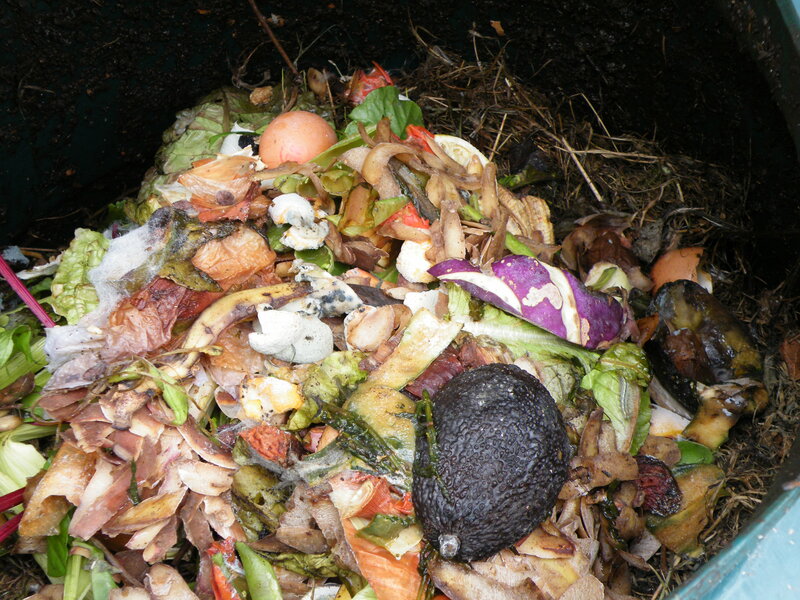 This is how overfull my composter is right now, I don’t think that I have emptied it for the past 5 years, now is the time to use the contents which should be well rotted. 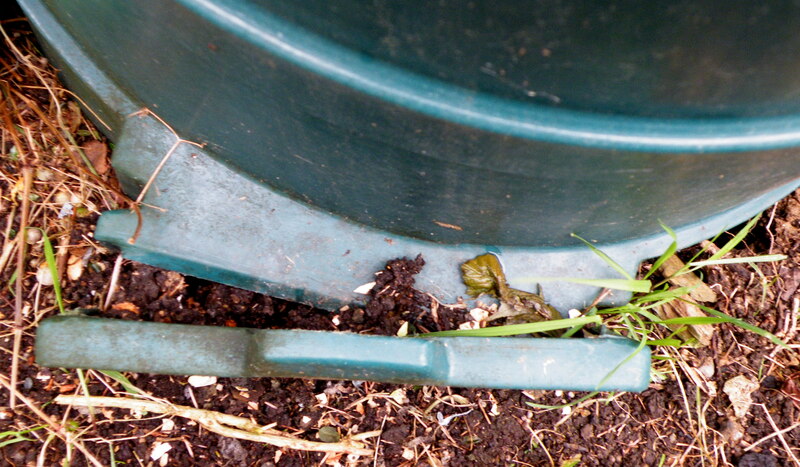 The sort of stuff I put into the composter, but I guess that after reading my books on composting it will become more pure and the compost might improve. 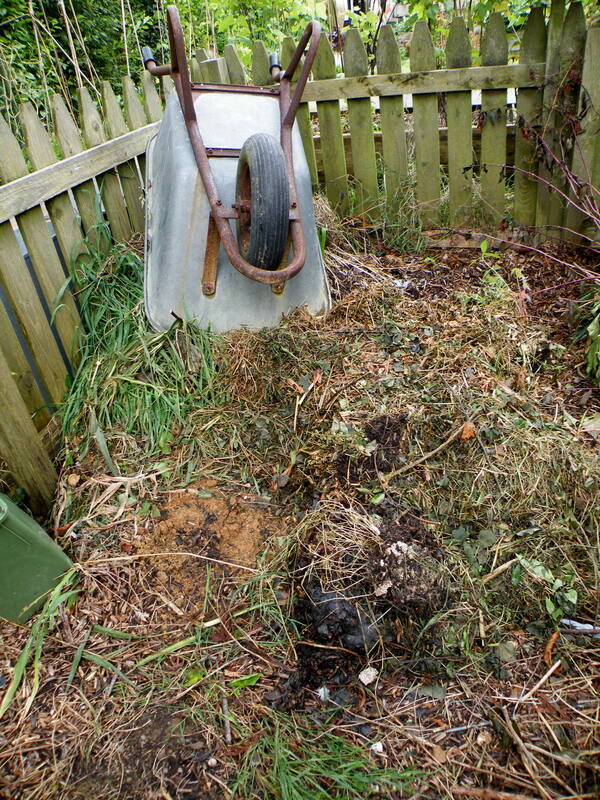 There is also a heap of shredded twigs and hedge cuttings which are ready to be used to improve the soil. These are the two books that I ordered on Amazon to inform myself more about composting, should be an expert after that, though I think that it is more to do with experience than with reading about it, still I do need to give it serious attention, how can you grow vegetables organically if your soil is not fertile enough!…………..and this is a little Ladybird that decided to come inside from all the rain, and was sitting on my foot earlier.